Here is my MAC Eyeshadow Collection! I own 8 eyeshadows, it’s not a GIGANTIC collection, but it’s all I need really! 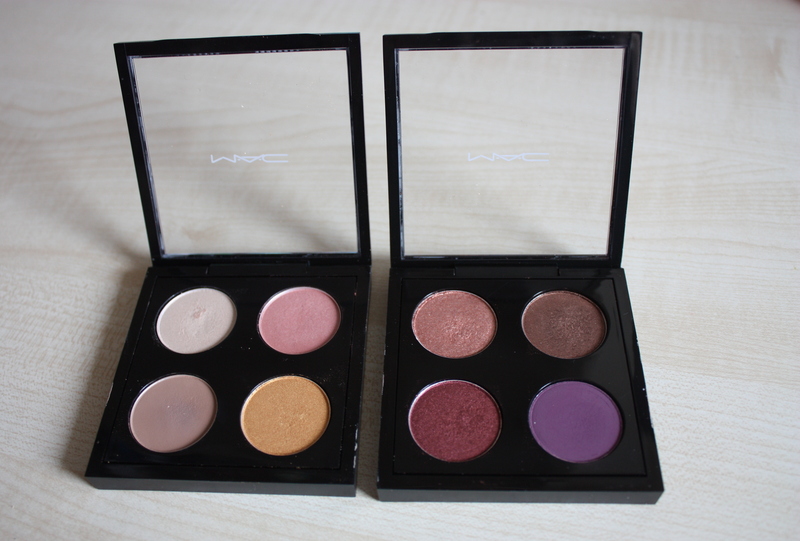 Most of the shades that I own are quite warm toned (apart from Girlie – the pink shade) – I have never really been into eyeshadows too much, but since I purchased MAC eyeshadows – I have become addicted and HAVE to use them every single day! 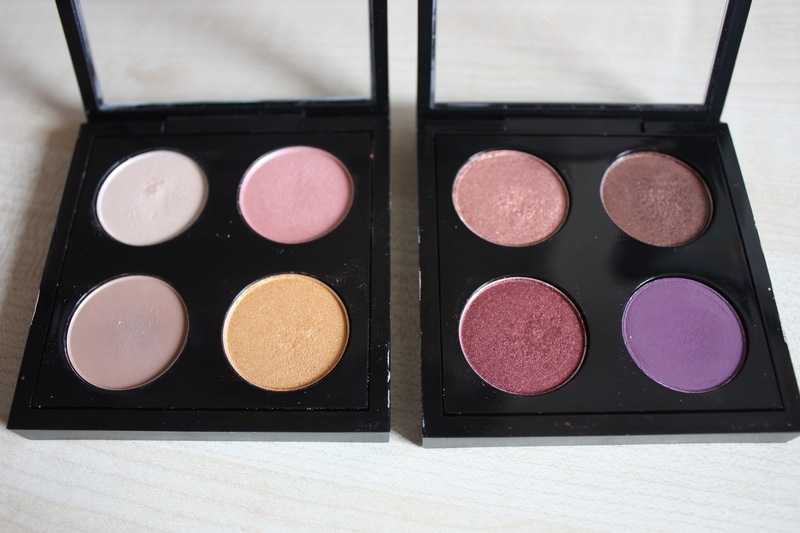 I will start to post some of my eyeshadow looks up on my blog, although I am not exactly the best! But I will show you my efforts and what I have done! The eyeshadows that I own are: (from left to right, but will complete the palette first) Shroom, Girlie, Wedge and Goldmine. (Next Palette) Mythology, Mulch, Cranberry and Fig 1. Shroom – a pretty highlight, doesn’t come out too well on my skin colour wise, but it leaves a pretty sheen on the skin. Girlie – a warm pink, which has a slight peach tint to it. It’s not shimmery, but yet again, leaves a sheen. Wedge – I use this on my eyebrows to fill them in, as mine are very light. This is a very popular colour which can be used as a subtle crease colour. 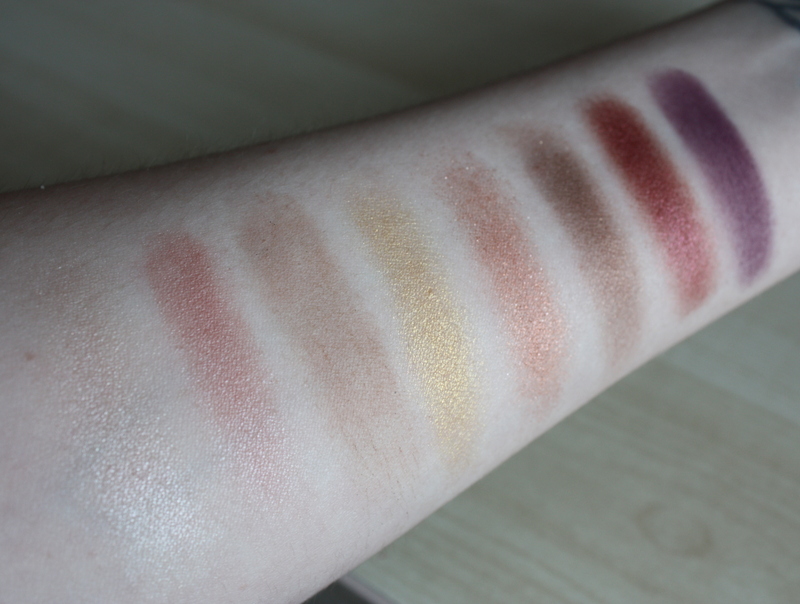 Goldmine – This is such a pretty colour, and it is my most recent eyeshadow. I was stuck on what last colour to place in my palette, but when I saw this I thought it was perfect and would easily work with the other shades that I own! There was another gold shade that I was considering, but I chose this one as it was a cooler tone gold. This is so pretty with Shroom and Mulch. Mythology – This is an odd one to explain. I love the colour as it is, but sometimes it can look a bit too orange and warm on my skin. Although, I do like the shimmer that comes with this. I will have to experiment this shade with others, and knowing me, I’ll fall in love with it! Mulch – This is also a very popular crease colour! This is a gorgeous dark brown, with a slight shimmer in it. Mulch is a good choice for a crease colour for me, when I don’t want a subtle shade like Wedge. Cranberry – Behold, the famous Cranberry! Everybody loves this shade, this year and I don’t blame them! 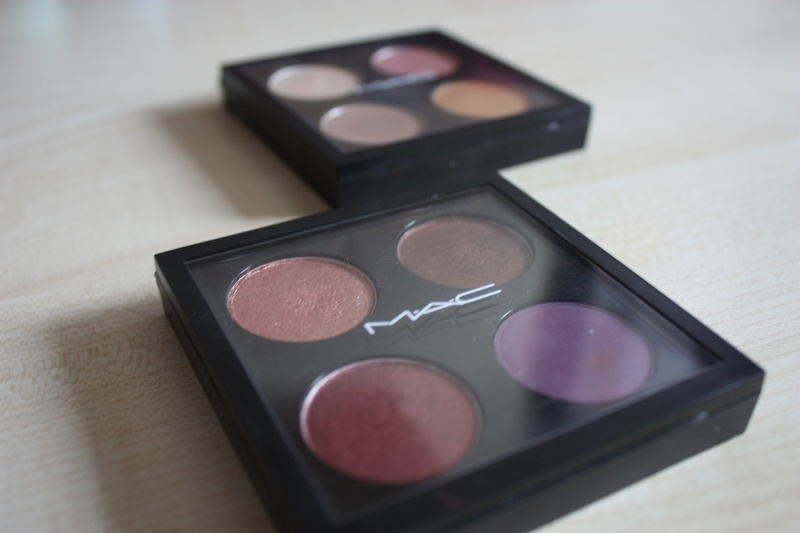 This was my first MAC Eyeshadow that I purchased. I thought that I wouldn’t be able to pull off a burgundy eyeshadow, but when I saw some blog posts and tutorials, I just had to get it! It is a beautiful colour, you can either pack it on or tone it down subtly (surprisingly!). Fig 1 – This shade was a wild card for me, I was feeling adventurous at the time and I don’t think that I would’ve normally picked it up due to it’s brightness in the pan! 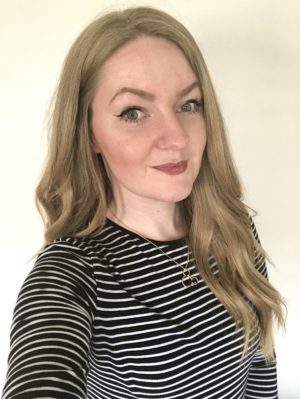 I am really glad that I have found this colour, as I can give my eyes a smokey look without being too dark, or just to add a pop of colour to subtle shades. I really like this one, as you can pack it on or tone it down again.